The most common skin disease, acne affects an estimated 80% of those between 11 and 30 years old, and people in their 40s and 50s may still experience the condition. 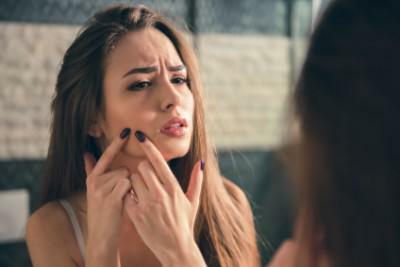 At Dermatology Consultants of Gloucester in Gloucester, Virginia, Dr. Timothy Gardner understands the impact acne can have on a person’s confidence and self-esteem. To begin acne treatment and start feeling better about your appearance, call or schedule an appointment online today. While many factors are thought to contribute to acne, why it occurs is unknown. Hormones seem to be a major contributor, as teens and pregnant women are more prone to outbreaks. Those starting or stopping birth control pills, a hormone-based medication, may also experience outbreaks, while in others, the hormone regulation of birth control pills may deliver relief from symptoms. Genetic factors also seem to play a part, because if a person’s parents had acne, they may be more prone. Some medications help to create the condition, and greasy makeup may also contribute. How do acne lesions develop? Pimples often develop from clogged skin pores. Old skin cells, hair, and sebum -- a natural skin lubricant -- collect and plug the pores, and the resulting pimples take on many forms. Whiteheads remain under the skin and derive their name from their white appearance, while blackheads expose through the skin’s surface, taking their name and appearance from the oxidation of the plug, which turns black with exposure to air. Papules are bumps, usually pink in color, which may also feel tender. When whiteheads have a red base, they’re called pustules. Large, solid pimples deep in the skin are called nodules and these are often painful, too. Cysts also run deep, filling with pus and causing pain. Early treatment of acne is the best defense against the development of acne scars. At Dermatology Consultants of Gloucester, there are several preferred treatments, starting with a range of topical medications. Kenalog, a corticosteroid, may be effective when injected into inflamed acne lesions. Antibiotics may reduce the symptoms of acne, and can be combined with other medications to expand the effectiveness of treatment. Accutane, a derivative of vitamin A, is commonly used for severe acne cases, and hormone-based therapies such as birth control pills can be effective on many types of acne. Treatment typically involves a home care regimen. It’s intuitive for many to counter the presence of acne with increased face washing, but aggressive cleaning can aggravate the condition. Start treatment for acne today at Dermatology Consultants of Gloucester. Book an appointment online or call the office to speak with a team member.